Are you one of many crocheters who is hesitant to work with thinner yarns, like lace and sock yarns or crochet cotton thread? 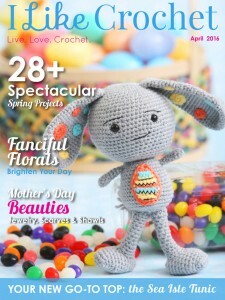 These yarns can make crocheting in the warmer months much more pleasurable, and they can be used to create intricate and beautiful projects. With these four tips, you’ll be ready to play with thinner yarns in no time. Choose a comfort hook – Many crocheters worry about hand strain when switching from their preferred hook size for medium weight yarns to smaller circumference hooks for thinner yarns. Today, there are so many comfort hooks to choose from that you don’t need to worry about the transition to thinner yarns. Comfort hooks have a wider circumference at the center of the hook, allowing you to maintain a similar grip regardless of the hook size. Choose a comfort hook with a similar point and throat to your favorite standard hook to make the transition to smaller circumference crochet hooks even easier. Choose the right hook size – Keep in mind that many sock and lace weight yarns include recommended needle sizes for knitting, but not all include recommended hook sizes for crochet. To keep your crochet stitches from getting too tight, select a hook two sizes larger than the recommended knitting needle size. For example, if a yarn recommends a US Size 1 (2.25 mm) knitting needle, choose a US Size D (3.25 mm) crochet hook. Start with an easy pattern – Since it may take you a little while to get comfortable working with thinner yarns, start with a simple pattern. Choose a stitch you are comfortable with from another project or try one of these easy patterns in lightweight yarns from prior issues: the Beginner’s Triangle Shawl, the Earthen Blocks Shawl, or the Perfect Summer Shawlette. Learn how to block – Blocking helps “open up” lacy designs and allows your project to be adjusted after you finish crocheting. Many times, crocheters avoid blocking when working with thicker yarns. With lacy patterns and thinner yarns, the true beauty of your work may not be apparent if you don’t block. Wet block your completed project by washing it according to the yarn care instructions. Gently stretch the project, pinning it into position so that your lacework is more visible, or until the project reaches your desired measurements. Allow it to dry flat. Once the project has dried, it will hold this shape. 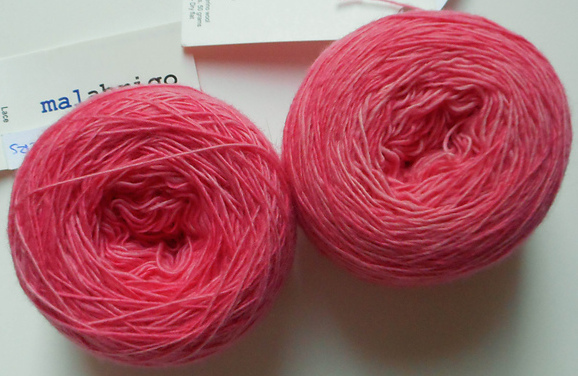 With these four simple tips, you’re now ready to get started with lightweight yarns. Now, take a deep breath and give lacy yarns a try!